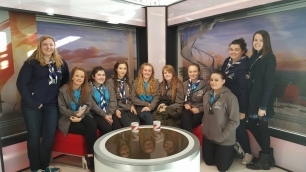 8 Girls and 3 leaders enjoyed 3 days in Manchester. 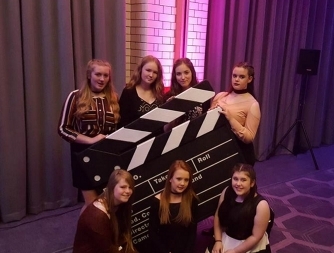 Highlight of the weekend was attending the Senior Section Centenary Ball this was the finale of what has been an action packed and memorable year, whilst in Manchester they also visited The BBC studios at Media City, the girls tried their hand at presenting 'Breakfast' with Cery's carving out a new career as a Weather presenter. also they had time whilst in the city for a bit of retail therapy. 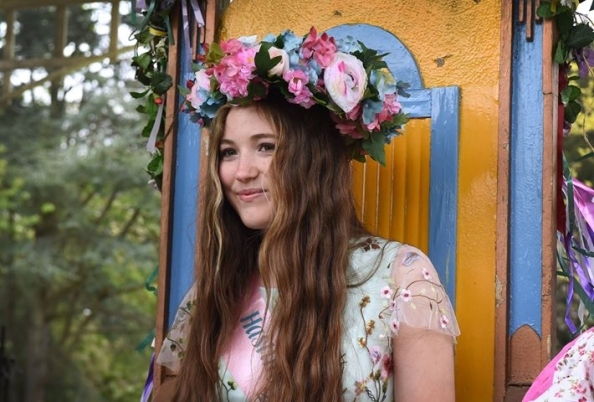 Congratulations to Cerys Rogers who was crowned Hastings May Queen at a special ceremony in Alexandra Park. The Ceremony having been revived after an absence of several years was blessed with good weather. Cerys arrived in the park in a Pony and Trap escorted by a colourful procession of Maids and Sweeps. The watching public were entertained by 'Roses are Red' a talented group of young folk dancers,Hannah's Cats Morris Dancers, Music was provided by the Fiddle Choir. There was also dancing around the maypole by the Maids. Cerys was crowned May Queen by the Mayor of Hastings Judy Rogers. part of Cery's role will be attending some official functions around Hastings.